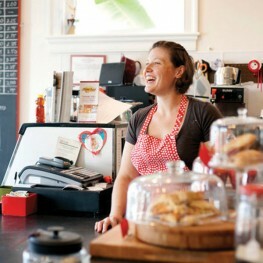 “rising star” in Charleston’s culinary scene. In 2009, Lauren left Red Drum to pursue her dream of creating deconstructed yet elegant versions of comfort desserts, satisfying that unique craving of sweet and salty. Providing Charleston with her famous double chocolate cookies, sweet & savory scones, and legendary “Sticky Bun Sunday,” WildFlour Pastry quickly became a favorite of the Elliotborough Neighborhood locals and those seeking an extraordinary dessert or specialty cake. A graduate of UVA with a degree in Studio Art, Lauren flexes her artistic muscles by creating cakes designed with minute attention to detail. With a passion for detail in visual design and flavor palates, Lauren shares her love of the unexpected in the comfort of WildFlour Pastry. For media enquiries, please contact julie@houndmediahouse.com. Site maintenance by Bear Squared.